(1) Check that CD is displayed on the FL display. If CD-R or CD-RW is displayed, press the STOP button repeatedly until CD is displayed. 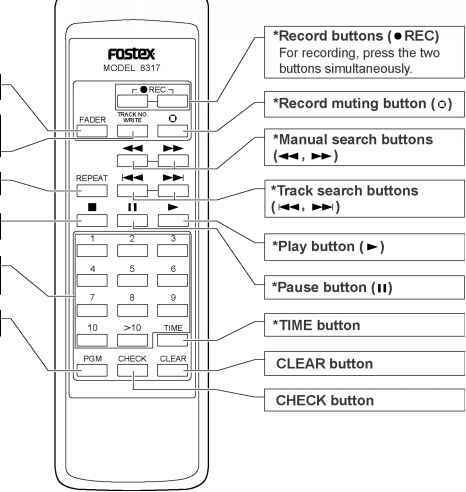 (2) Press the RECORD button. The LED for confirmation of LD emission will light in orange. (3) Press the REC MUTE button. The LED for confirmation of LD emission will light in red. 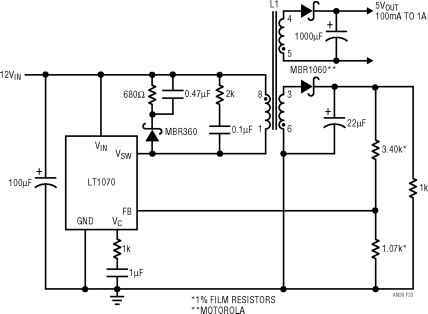 The LD is emitting in this status. (4) Turn VR101 clockwise until the adjustment value to be reached is obtained. (5) Press the STOP button to shut off the LD. Measure leakage current to a known earth ground (water pipe, conduit, etc.) 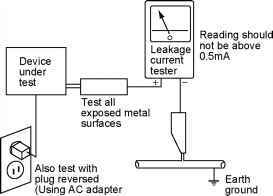 by connecting a leakage current tester such as Simpson Model 229-2 or equivalent between the earth ground and all exposed metal parts of the appliance (input output terminals, screw heads, metal overlays, control shaft, etc.). Plug the AC line cord of the appliance directly into a 120V AC 60Hz outlet and turn the AC power switch on. Any current measured must not exceed 0.5mA. CONTROLS, INDICATORS & CONNECTORS 9 3. ADJUSTMENT 4. ASSEMBLING & DISASSEMBLING 19 5. 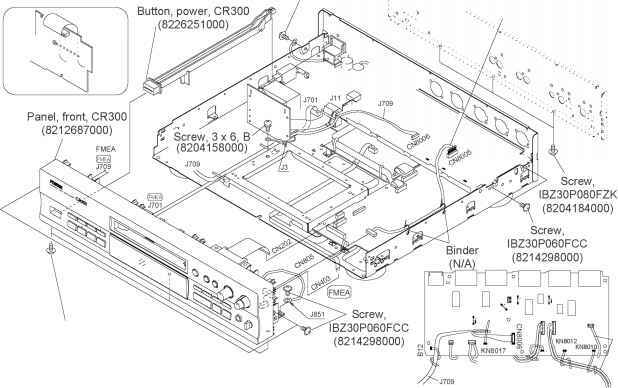 EXPLODED VIEW, PCB ASSEMBLY & PARTS LIST 25 6. CIRCUIT 7. GENERAL * Adjusting procedures, assembling & disassembling, exploded view, PCB assembly, parts list, circuit diagrams and general information are given in this manual to assist the service technician in maintaining the Model CR300.